Our most popular surface option. 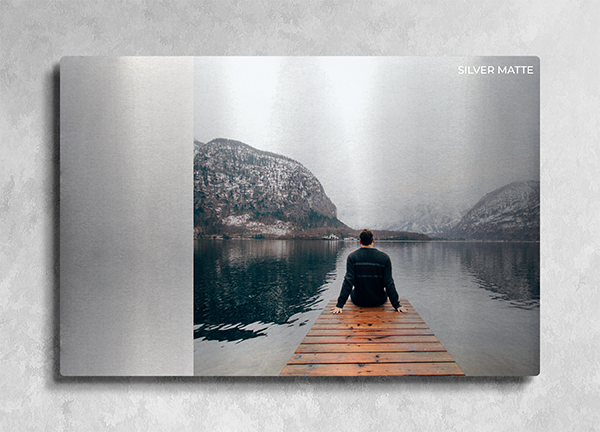 If you have ever seen a metal print at an art show or a gallery exhibit, chances are this is the surface option that you have seen. The smooth glossy finish and the pure white background gives your photos that luxurious feel. This option gives the appearance that your print is behind glass without the overwhelming glare effect from acrylic prints. 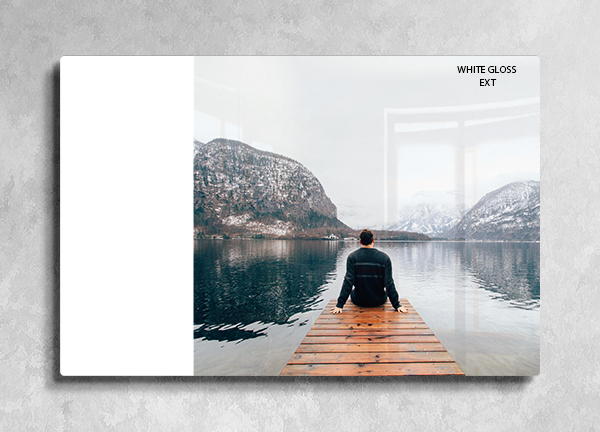 If you want your images to shine and be as accurate as possible, or if this is your first time ordering an aluminum print, you can never go wrong with white gloss. Best suited for modern and contemporary art and photography. For those who wish to have the quality and luxury without the shine, go with a Matte White option. Ideal for family portraits and artwork. It is also a great option for prints that will be displayed near a window or entry point where glare from a light source is a concern. For those a bit adventurous, the clear gloss finish gives your prints a real metallic feel. There is no white background here, so whites in images will come out silver as the aluminum will shine through. This gives a great effect for photos and artwork. Keep in mind that because the white point is now replaced with the silver of the aluminum, your image will now print a bit darker, so you may want to slightly increase the images saturation and brightness to compensate. Same as the Silver Gloss but without the shine. This is the equivalent of printing directly onto brushed aluminum. A very industrial look and feel that works well with vintage commercial photos. The same properties as our standard White Gloss option but specially formulated for outdoor use. Our EXT Panels are guaranteed to last at least 3 years outdoors and are graffiti and chemical resistant. Graffiti and other marks will wipe off using a standard microfiber cloth and denatured alcohol. The EXT option is perfect for prints that will be displayed outdoors or near a window that will get a lot of direct sun. Perfect for outdoor signage and art displays. Combine the hardiness of the standard aluminum print with the sun protection properties for the most resilient print in the world. If you have any questions about any of our surface options, please don't hesitate to contact us.